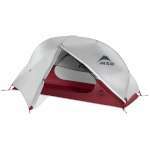 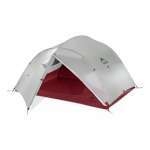 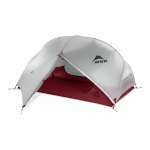 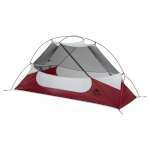 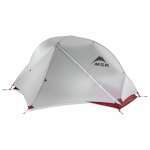 A few years ago, MSR revamped their classic Hubba (no chuckling at the back) range of tents. 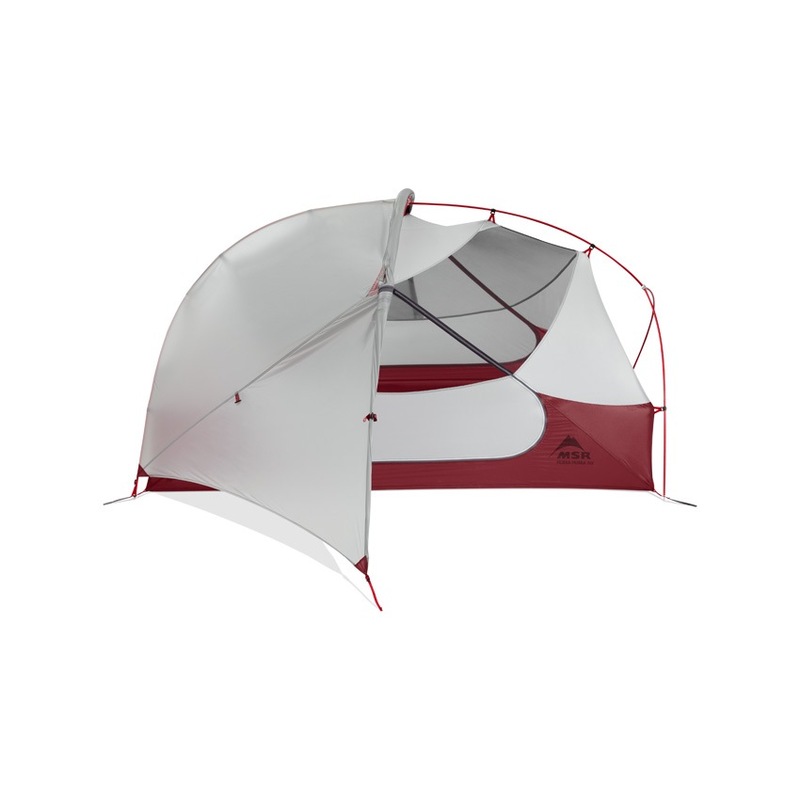 These included the Hubba NX, Hubba Hubba NX, Mutha Hubba NX and the brand new Papa Hubba NX, ranging in size from 1 to 4 persons respectively. 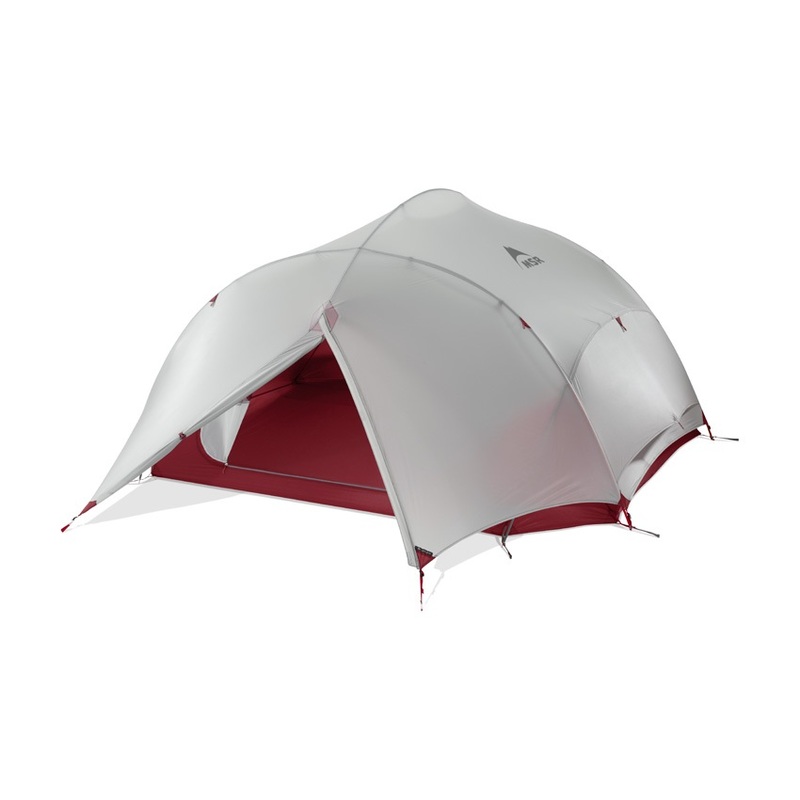 These beautifully made lightweight tents were an instant hit and are now firm favourites for lightweight camping and mountaineering. Our customers loved the new design and we're delighted that MSR are continuing the Hubba NX range…including the new green design. Judging by their escalating popularity, you should grab a Hubba while you can! 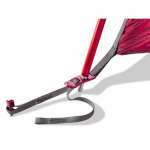 A lot of the weight saving has come from lots of little changes, new pole clips, grommets and guy tensioners. 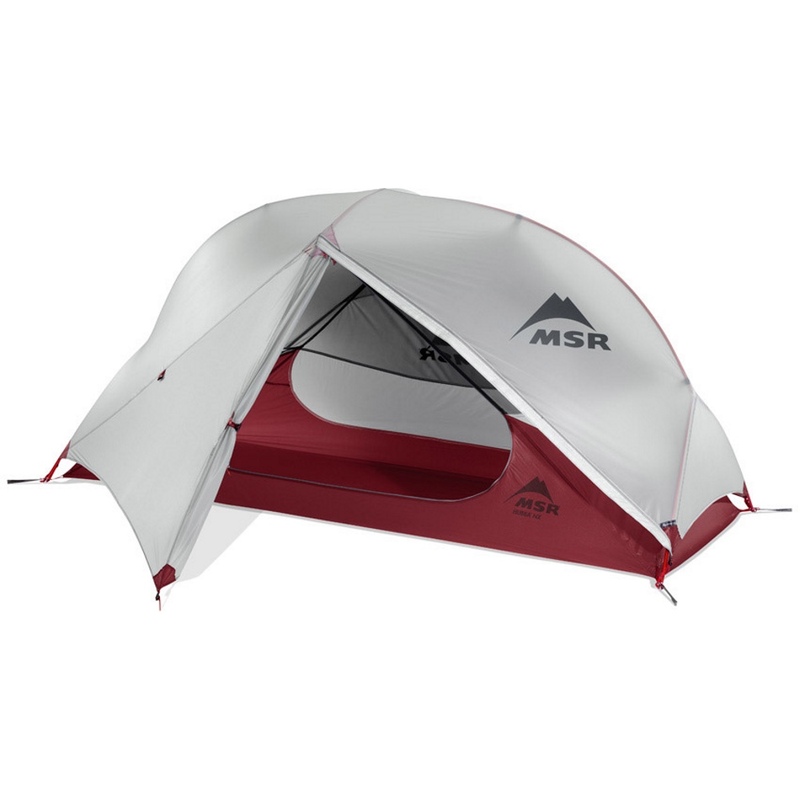 If these tents did not share their name with the old Hubba range, MSR could easily have branded them as a brand new range, there are very few components that remain unchanged. 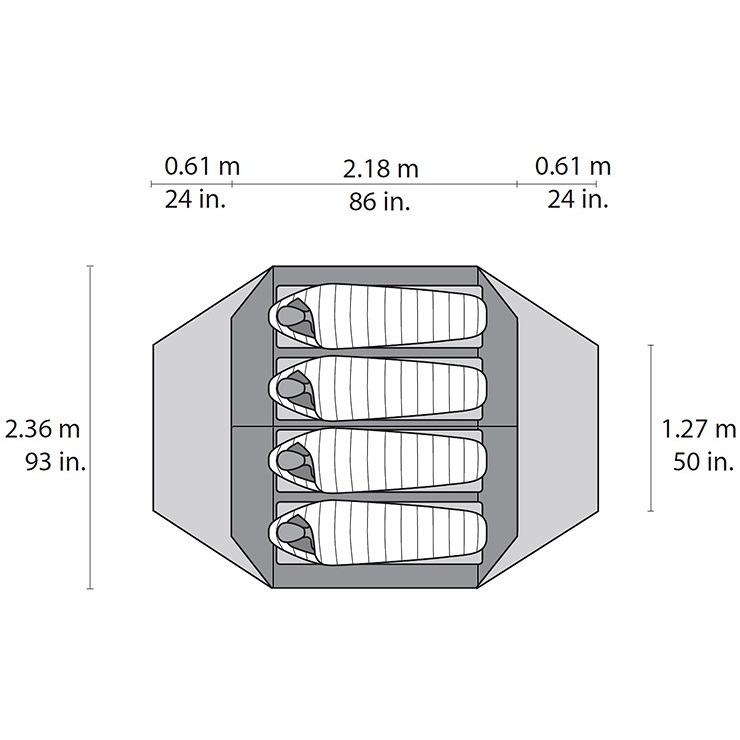 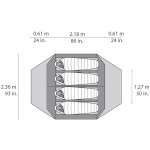 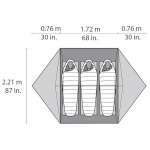 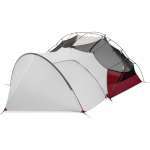 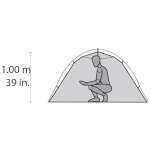 The majority have been updated in their relentless pursuit of reducing weight while maintaining strength, a great goal to aspire to when making backpacking tents. 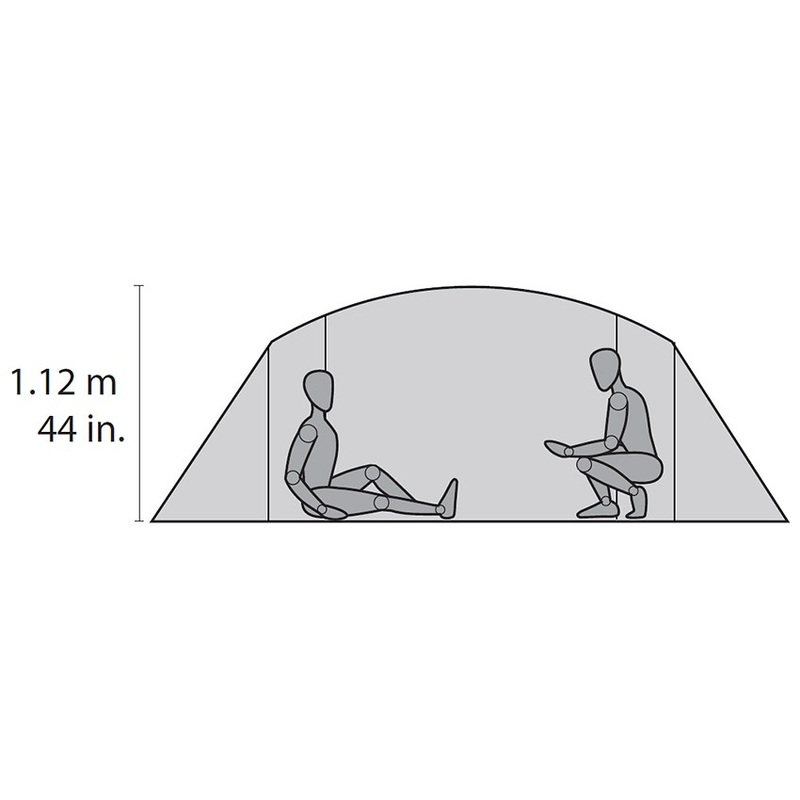 More "liveable" space. MSR's target with this new range was to reduce weight and increase liveability. Using an updated/optimised pole geometry, they have increased the average height across the tents, giving you far more living space. 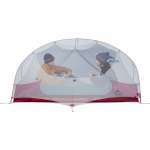 Roomier than any other tent in its class - sit up, relax and enjoy your evenings. 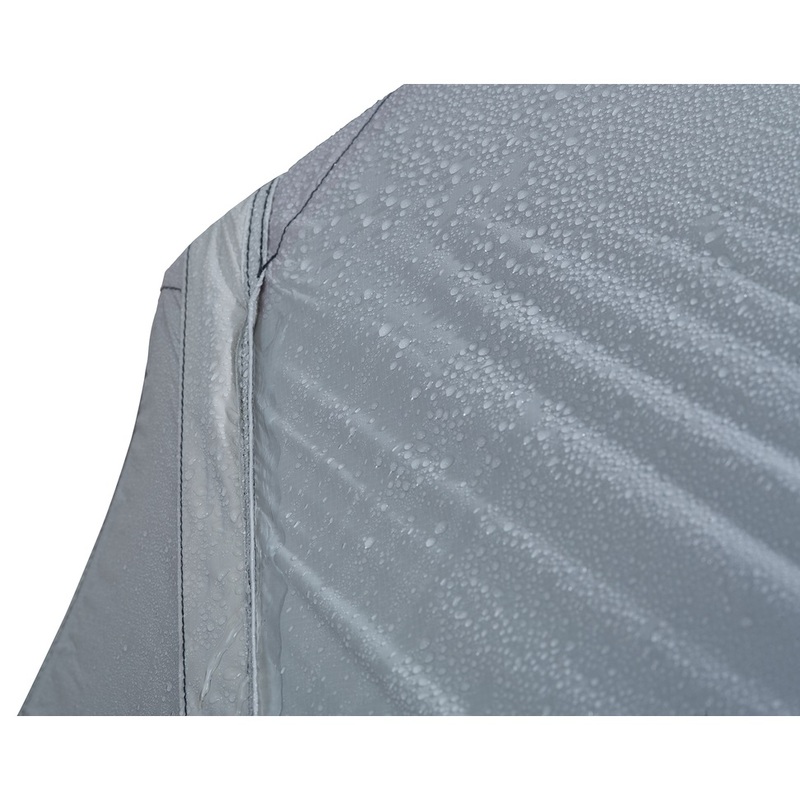 The cleverly stitched doorway, featured on all the Hubba NX range, now helps the rain run down the side (rather than over the doorway) helping to keep your kit dry when entering/exiting the tent. A bit like the revolution of stuff sacks for sleeping bags (many years ago), it is becoming more and more popular when breaking camp to simply stuff the flysheet and inner into a bag and carry the poles separately. 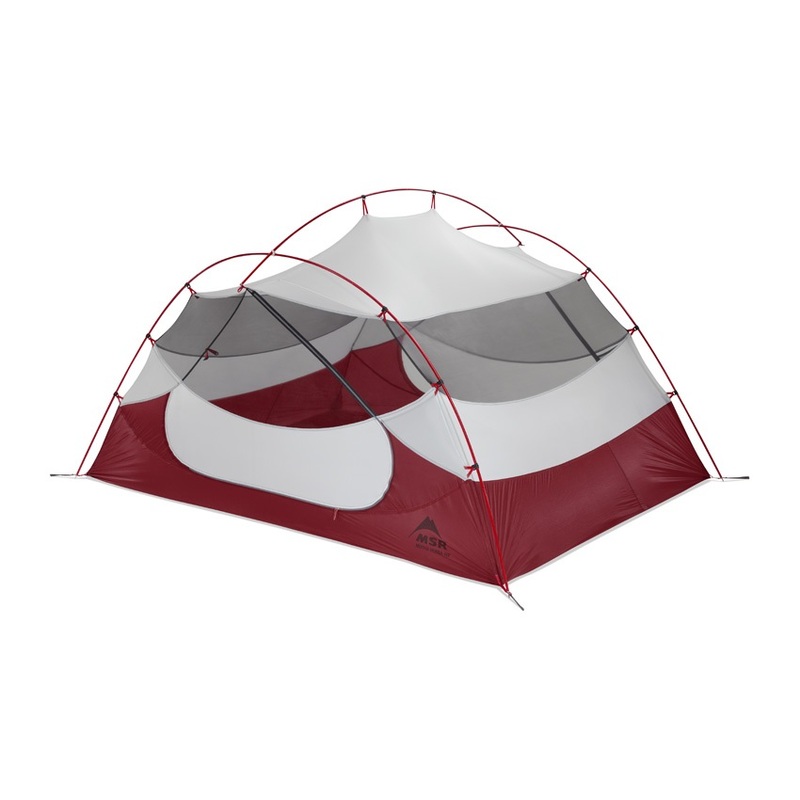 I recently tried this technique in the pouring rain for the first time and I am completely converted! It is so much quicker than trying to origami-fold a tent into a bag, and much more satisfying. It obviously leaves the inevitable wet mess to deal with at home, but even if it was folded it would still need drying out. 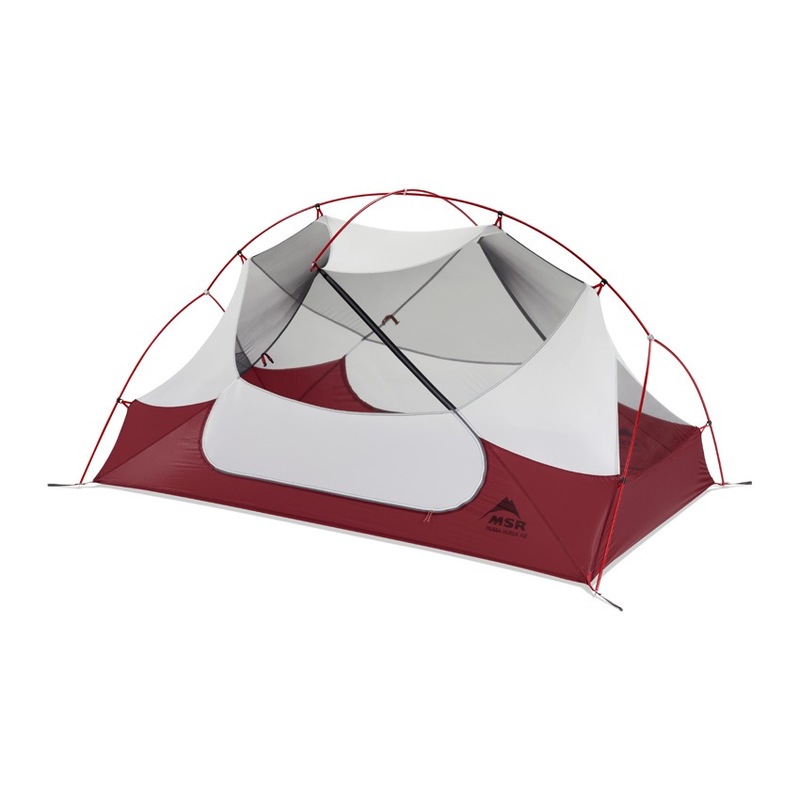 Quickly stuffing your tent away means less time wrestling with canvas and more time enjoying the outdoors. The new range of Hubba tents each come with a useful compression stuff sack. 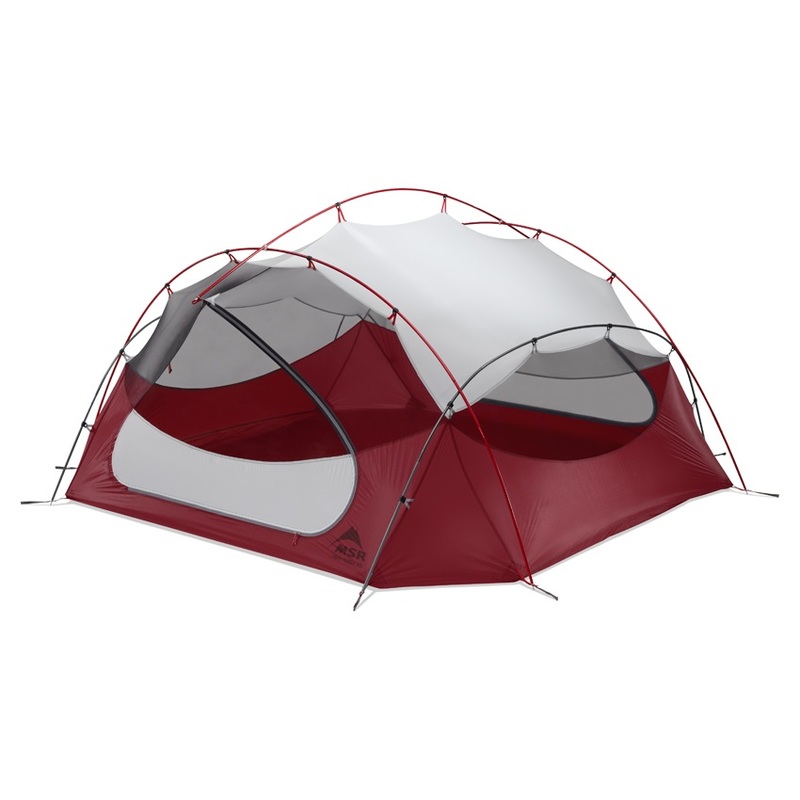 One of the big changes for the European market is the increased height of the solid (rather than mesh) sidewalls of inner tent. 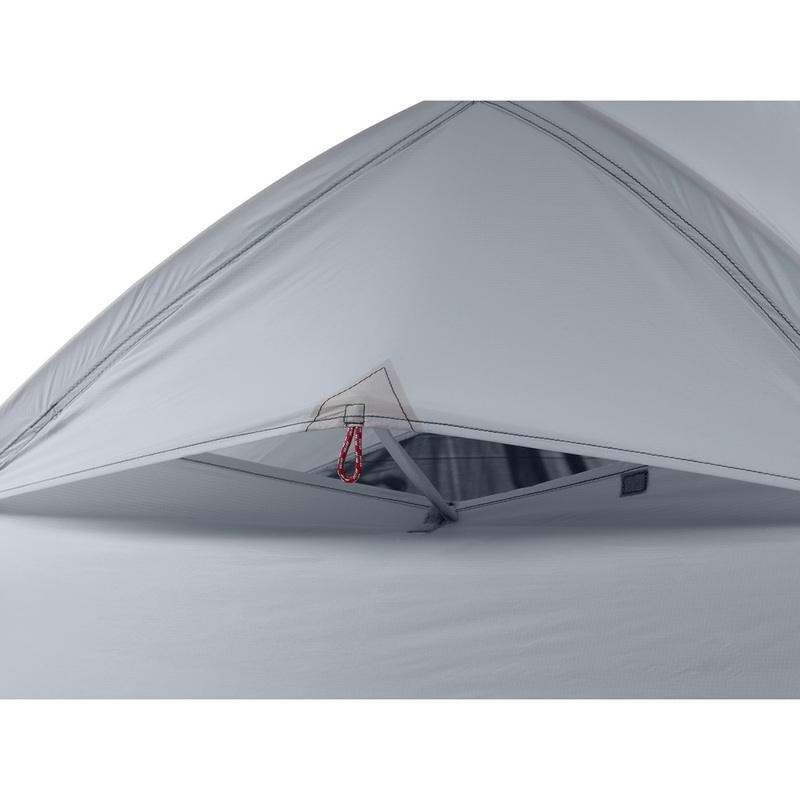 Although the flysheet still rides slightly higher than you would normally expect (and still higher than the Hubba HP tents), the increased height of the weather-resistant inner should mean there are no draught problems in colder climates. 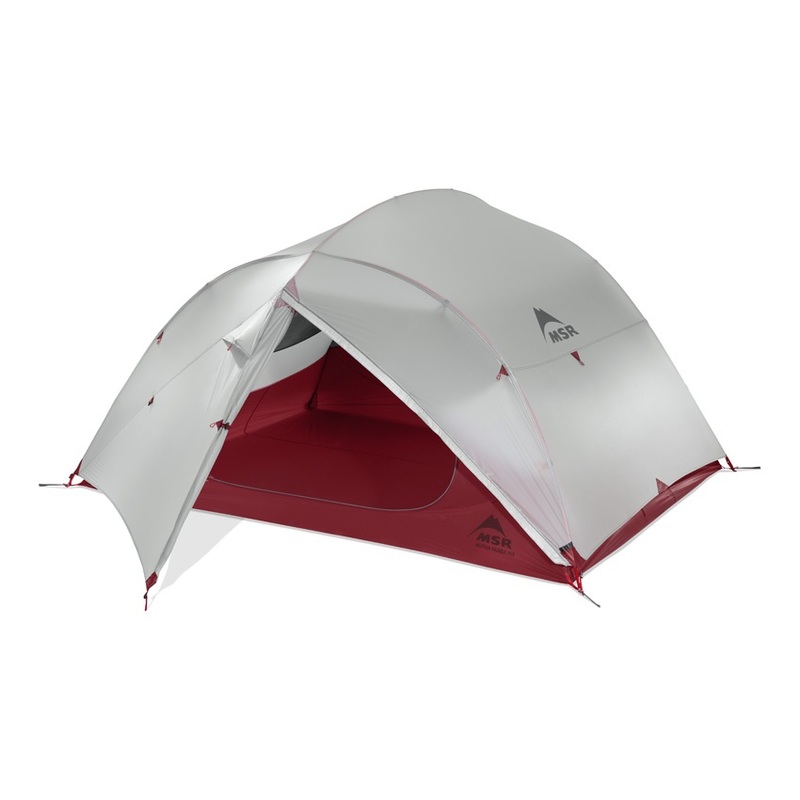 Although if you plan to be out in the winter often, then the HP (European special) version is probably the one to go for. One of the subtler changes is the increased distance between the fly and the inner, helping to reduce the chance of condensation transferring onto the inner tent. 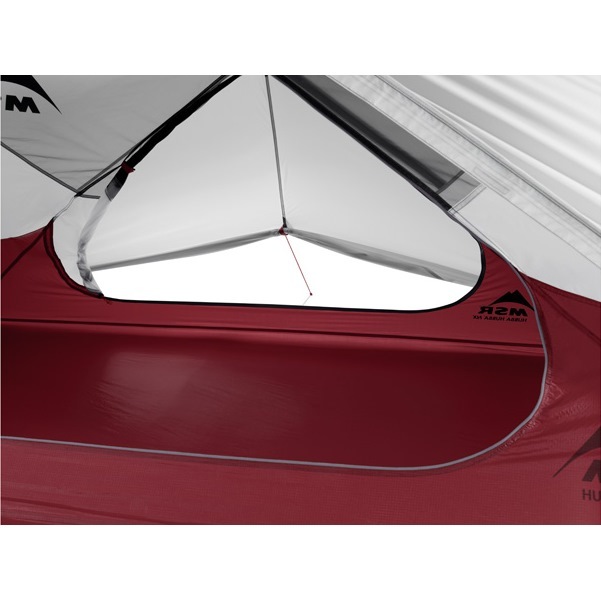 The doors have been redesigned for easier entry and also to be more versatile, you can roll up the bottom for ventilation or just to look at the lovely view. It is the little changes like this that make you realise how much care and thought MSR have put into the development of this tent. 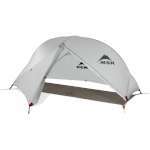 They really did listen to the feedback for the original Hubba and have built upon its best features to create 4 stunning tents that have already started to win awards. 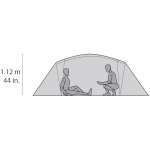 The Hubba Gear shed is a fantastic bit of kit to have tucked away. 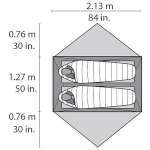 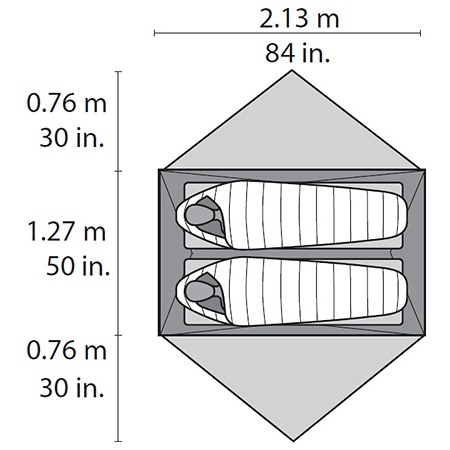 For extended camping trips, or if you know it will be a wet weekend, it gives you additional living space for very little weight (0.78kg). Perfect for storing your wet gear, even if you don't think you will take it every trip, we highly recommend having one of these in your arsenal ready for a rainy day.